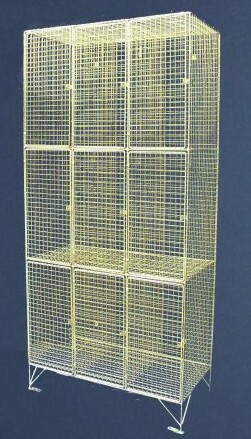 AIANO WML33/ZB is a 9 compartment wire mesh locker comprising of a nest of 3 lockers in 3 tiers. The WML33/ZB is strong and expertly crafted whilst being lightweight, allowing the storage locker to be moved easily. 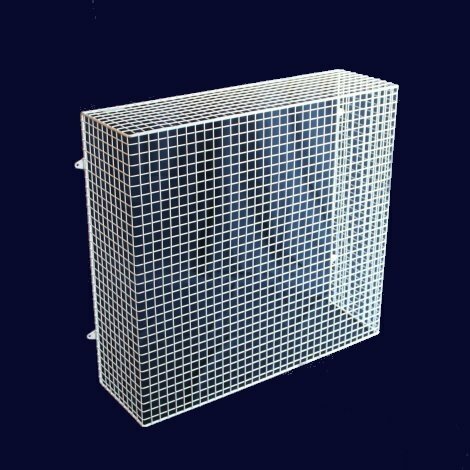 This wire mesh security locker keeps the contents of the compartments visible, discouraging theft and vandalism. The contents of the mesh lockers can be easily identified without the need to unlock the compartment. 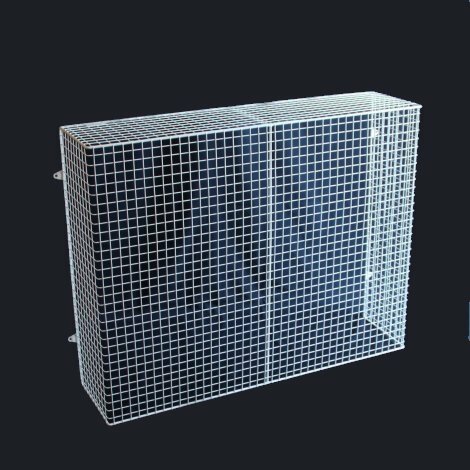 The wire mesh locker allows good air circulation, perfect for keeping clothes dry. Excellent ventilation will also help to keep the contents fresh and odour free. The WML33/ZB has a variety of applications including lockers for changing rooms in schools, universities and work places. The storage unit is suitable for industrial areas such as food processing plants and construction sites, ideal for use as uniform lockers to place overalls and work shoes. The locker provides a secure environment for tools, cleaning utensils and other protective equipment. 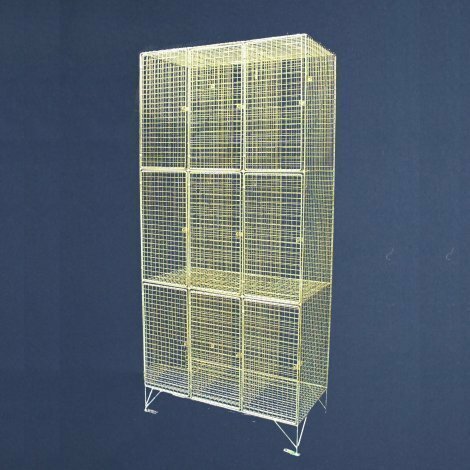 This 9 compartment wire mesh storage locker is made from steel weld mesh which is zinc plated bronze after manufacture for an attractive and hard wearing finish. Every compartment of the storage unit has a lockable door with a slam plate staple for ease of fastening and locking. The front feet have eye holes which can be screwed to the floor and there is a rear washer for fixing to the wall. Origin: the guard is manufactured in the UK from British and EU-sourced steel. 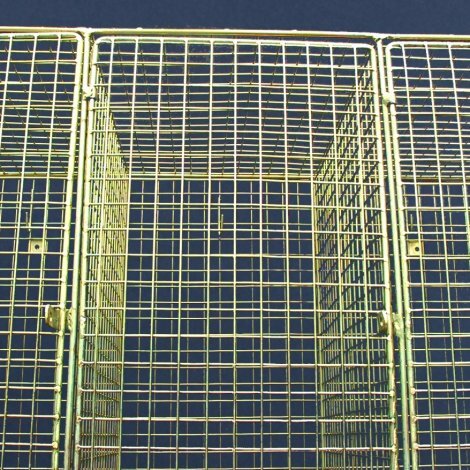 Contact us for further advice or guidance on selecting the right wire mesh locker. 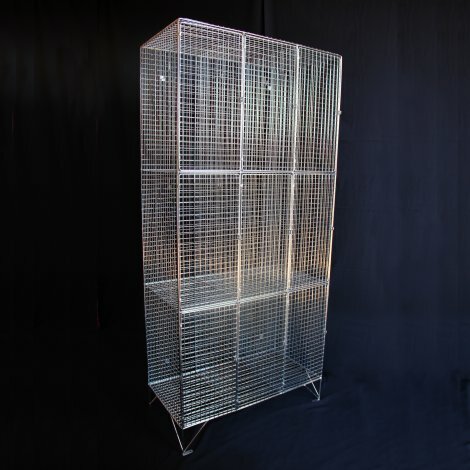 For a 9 compartment wire mesh locker zinc plated with a silver tint please see the WML33/ZS. MS GUARDIO have standard configurations available for 2, 3, 6 and 9 compartment lockers. Custom configurations are also available on request. Made from steel produced in the UK and EU. 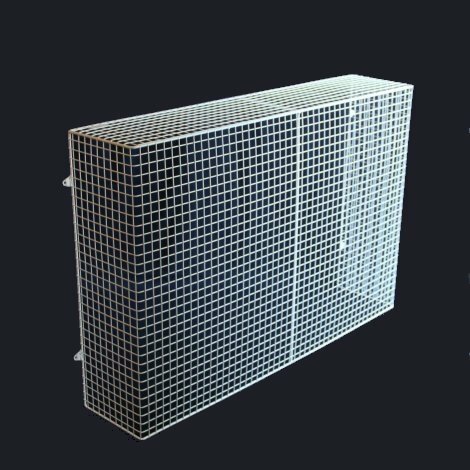 MS Guardio specialises in providing wire mesh safety guards for heaters, light fittings and many other application – a world of wire guards. © MS Guardio Limited. Registered in the UK. All Rights Reserved.